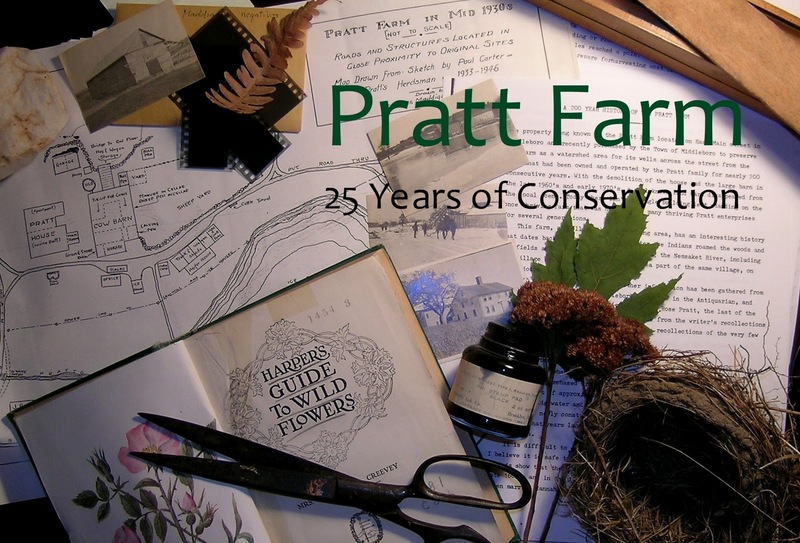 During the past fifty years, reforestation of the Pratt Farm has brought with it a diversity of trees and the forests now beginning to occupy much of the farm tell an interesting tale of succession, how the land came to be reforested following the man-made disturbance of wholesale clearance for agriculture in the eighteenth and early nineteenth centuries. At one time or another, the old growth forests which covered the landscape were harvested. 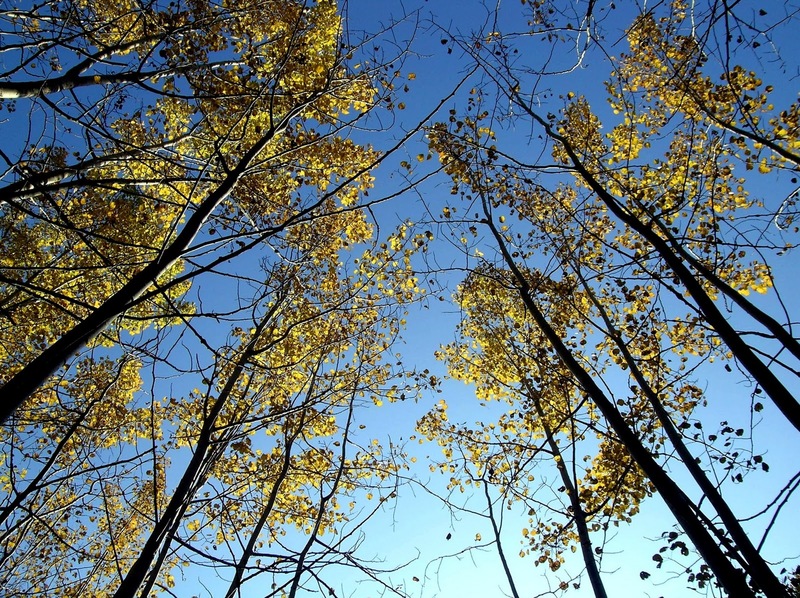 The earliest deeds for the immediate area speak of trees such as red, white and black oak, walnut and white pine, as well as hazel growing in thickets, throughout the 1700s. These were enormous trees in some instances as witnessed by the incredible width of boards in first period houses. 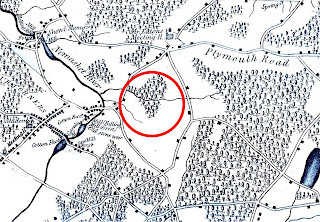 By 1831, according to the map of Middleborough published in that year, the entire swath of land encompassed by East Main, Sachem and Wood Streets had been clear-cut for pasturage or tillage, save for the wet areas surrounding Stony and Morey Brooks on the northern edge of the Pratt Farm, and it remained in virtually the same state until at least 1855, if not later. Physical evidence of this clearance are the stone walls marking former tilled fields and pastures, which now run through forest. “All around are pine and [scrub] oak woods. In many places and at diverse times the woods have been cut down and have again grown up, occupying fields where stone walls now testify that within their leafy enclosures corn and grass formerly grew …” Similar forest-secluded walls are noted on the Pratt Farm Conservation Area. 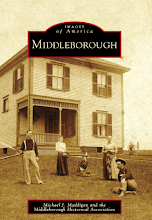 During the nineteenth century, Middleborough, like much on New England, became increasingly reforested for a number of reasons. Some natural reforestation of lands previously used agriculturally occurred with the introduction of coal as a replacement for wood as a heating fuel and the rapid decline in sheep rearing, both of which had previously dictated widespread clearance. Additionally (and ironically), the use of treeless areas for pasturage also encouraged reforestation as cattle refused to eat the unpalatable white pine seedlings, allowing them to ultimately grow to maturity if farmers failed to mow grazing lands. Often hard-pressed for labor, Middleborough farmers could not always keep pastures mown, and white pine forests soon crowded out livestock. Significantly, however, some of Middleborough’s pinelands were created deliberately on worn out or agriculturally useless lands whose soils were too poor for other crops, and incidences of local farmers setting out pines on such unproductive land in Middleborough are recorded throughout the period. 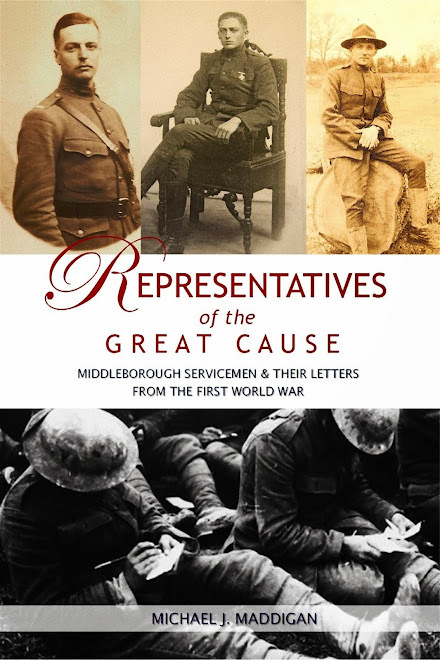 The reforestation of Middleborough, coupled with the establishment of Middleborough’s railroads during the late 1840s and 1850s laid the foundation for the community’s development as a lumbering center in the last half of the nineteenth century. 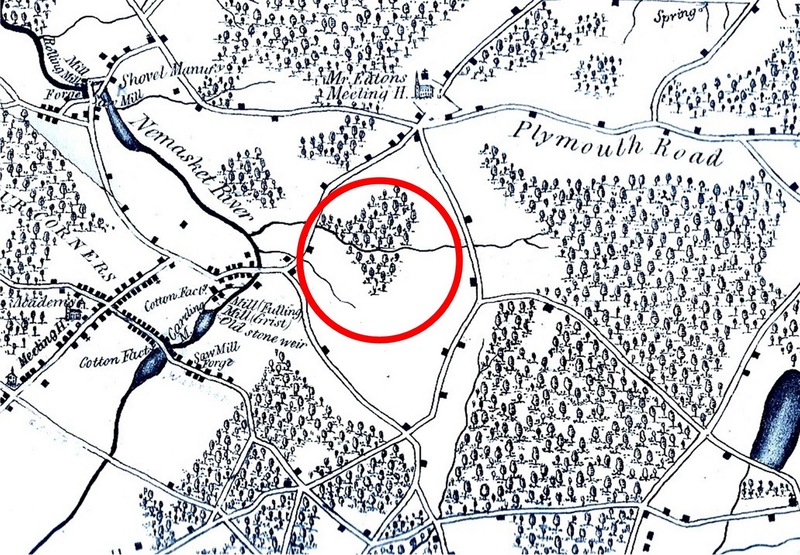 By 1855, Middleborough was the largest lumber producer in Plymouth County. 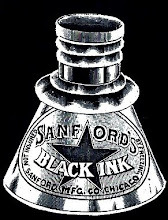 The national post-war expansion demanded enormous quantities of lumber and white pine harvested locally became a valuable commodity much in demand. 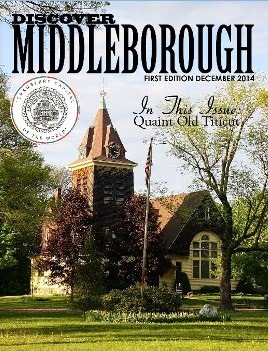 The ability of Middleborough farmers to substantially meet this demand bore formidable results. 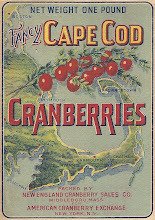 By 1870, Middleborough’s largest farms like the Pratt Farm incorporated a high percentage of “unimproved” land (primarily forested land) and many were to derive the bulk of their income from this source rather than from traditional non-forest products such as hay, potatoes and dairy products. Fifteen years later, in 1885, Middleborough had achieved the top rank in the Commonwealth, producing more than twice as much lumber as its nearest competitor, a large proportion of which was harvested from Middleborough’s farms. Helping sate the demand for timber by these hungry mills was the Pratt Farm which by 1870 was producing wood, possibly cordwood for heating. 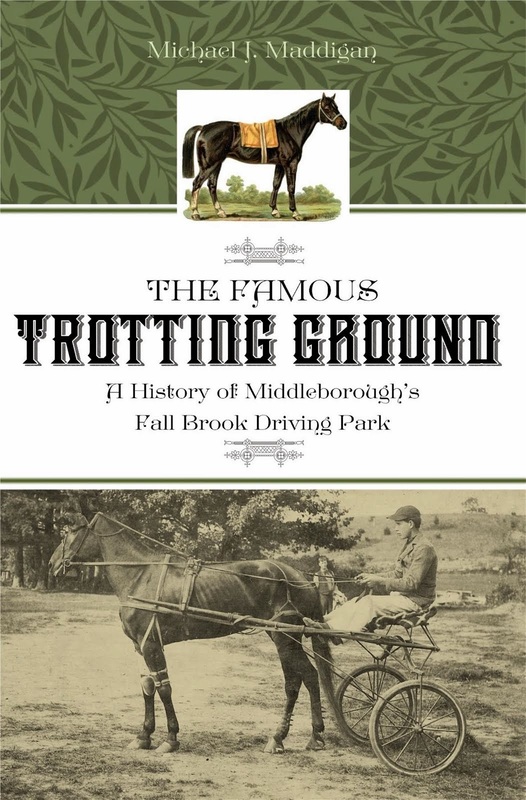 Middleborough’s startling success as a lumbering town attracted the attention of those interested in agriculture, including the Massachusetts State Board of Agriculture whose annual meeting in 1884 revealed a considerable preoccupation with forestry and the specific example of Middleborough. 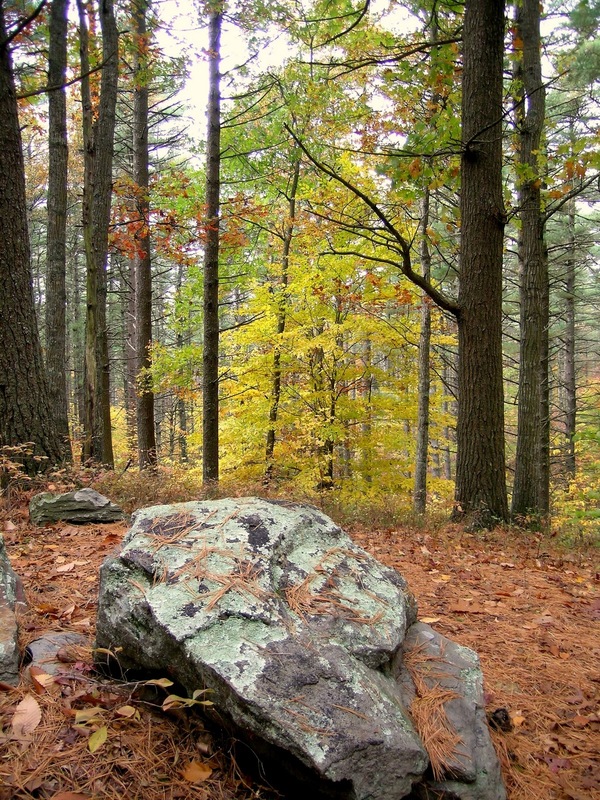 Much of Middleborough’s success in the field of forestry was based upon the realization of the value of white pine and the reforestation of the town’s wastelands with that rapidly maturing tree. 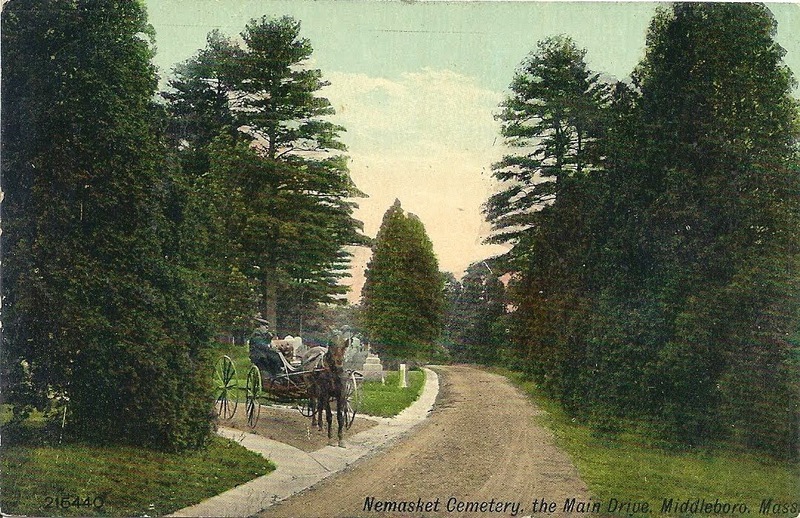 The white pine grew well in poor soil conditions, for which large portions of the town were eminently suited, being located in the geological Wareham outwash plain noted for its sandy soils. [In Middleborough] last year the sales from white-pine lumber for box boards, mostly, amounted to one hundred thousand dollars. It has been more in more prosperous years. 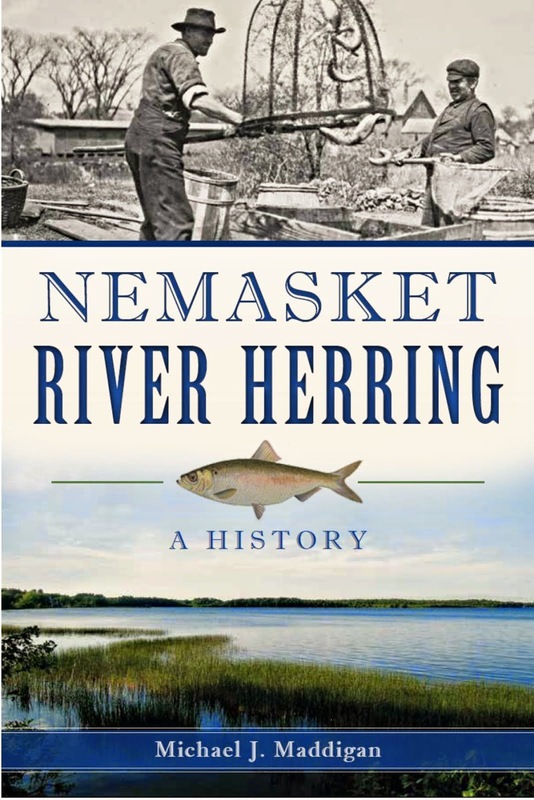 So, gentlemen, you can see that in one town in the Commonwealth the white-pine forests must have netted an income – which has mostly gone into the pockets of farmers – of one hundred to one hundred and fifty thousand dollars, and that year after year. Does it not pay to encourage an industry that will bring one hundred and fifty thousand dollars a year into the pockets of the farmers of a single town in this Commonwealth? I know, sir, that it pays to transplant white-pine trees … I believe the white pine is the very best tree for us to grow … The white pine has a cash value any day in the year. There is no trouble in turning a white-pine forest into cash at our pleasure. 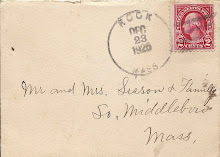 While concerns about rapid depletion of forests elsewhere impacted the manner in which timber might be harvested, such concerns had little impact upon Middleborough where the number of trees harvested each year by farmers and timber owners fell far short of the numbers reaching maturity. Despite the abundance of white pine lumber in the region, the key to its profitable exploitation remained the railroad which became an important carrier of freight for Middleborough’s farmers. The relationship of the railroad to Middleborough’s economic vitality was readily deductible and though not often vocalized, was clearly understood by commentators on the State Board of Agriculture. In time, however, there arose a disparity in opinion concerning local forestry. 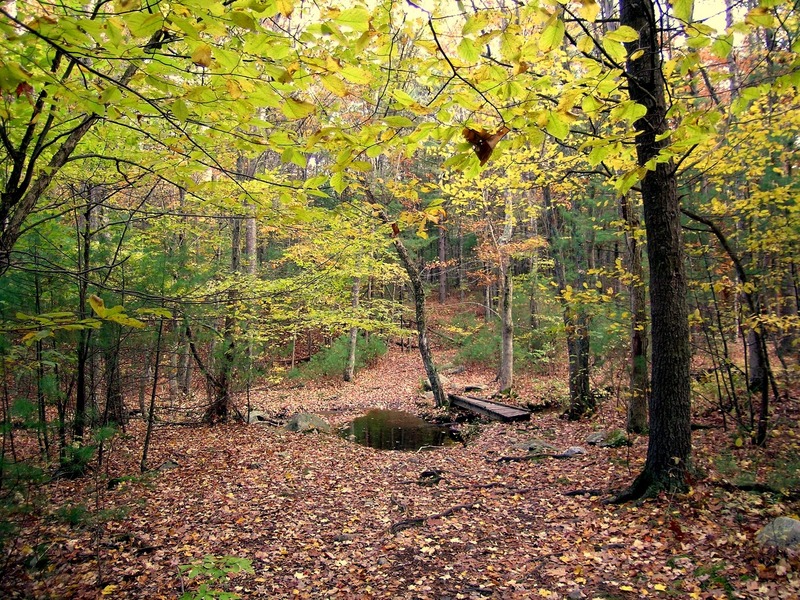 In 1885, Harvard botanist Charles S. Sargent cited the southeastern Massachusetts forests as models for the commonwealth: “The real progress in Massachusetts has been made by the farmers of Barnstable and Plymouth counties, who have taught us how to plant and raise forests successfully and profitably, under the most unfavorable conditions.” By 1914, however, State Forester Frank Rane disagreed, citing the region’s sluggishness in adopting modern forestry principles in the years subsequent to 1885, one of the factors which ultimately contributed to the industry’s local decline. Clearly, in Middleborough at least, industrial development often supported and financially facilitated by local “boosters” attracted increasingly greater numbers of people to manufacturing jobs centered about Middleborough Center, a trend which brought with it a corresponding decline in the number of families earning a living from the land. As farms were abandoned, many were left to return to a “less civilized” form of nature, and the process would continue throughout the twentieth centuries as farms like the Pratt Farm were abandoned to farming purposes and allowed to be reclaimed by nature, with new "succession" species appearing. Near the junction of Stony Brook Road and the Farm Road near the Pratt Farm entrance is a small field surrounded by woods atop a level hill. During the 1940s, Ernest S. Pratt used this field to produce hay and other forage or cattle. Today, the hay is gone and the process of succession is probably nowhere on the Pratt Farm more apparent than here. Devoid o tree cover through much of the 20th century, the field is rapidly filling with white pines and succession species such as aspens, which exploit the temporary opening in the tree canopy and which will grow rapidly but be short-lived. The aspens will provide cover for hardier species, including the white pine seedlings which in time will replace them. For the moment, however, the brightly colored goldenrod beneath these delicate trees inhibits the growth of any saplings which might immediately displace the aspens. Another succession species is sumac. Located at the rear of the back meadow is a large, cavernous staghorn sumac grove, a tree named for the downy branch tips which resemble the antlers of a deer “in velvet”. The grove resembles a great tent from the distance. Its leaves dip down to touch the ground and an entrance into the grove is sometimes difficult to find. Inside, a canopy of leaves is supported by numerous spindly trunks and the grove provides a quite respite from mid-summer heat. Relatively fast-growing sumac abounds at the Pratt Farm, and less conspicuous groves are found elsewhere about the farm, including adjacent to the small west meadow near Sachem Street. The smaller rear meadow is difficult to navigate during the summer given the profligacy of the sumac growing there where it is rapidly taking hold. Someday, it will overtake the meadow completely, the first step in reforestation and the ultimate transition of habitat from meadow to forest. The presence of sumac on the Pratt Farm is a reminder of Ebenezer Pratt’s occupation as a tanner. Sumac was of great value to the tanner, its bark providing the necessary tannins with which to tan animal hides. Undoubtedly, groves like this were present when Pratt acquired the property in 1777. Today, the trees’ fruit provides nourishment to songbirds, while cotton tail rabbits and deer gnaw on the trees’ bark and feed on its leaves when in reach. 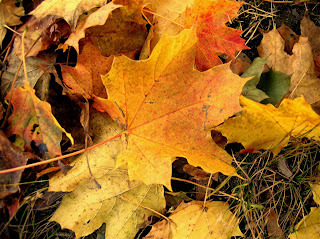 Sugar Maple Leaf (Acer saccharum), Pratt Farm, Middleborough, MA, photograph by Mike Maddigan, Autumn, 2004. Pratt Farm Tree Cover, 1831. The map shows the area of the present-day Pratt Farm Conservation Area circled in red, as well as the limit of tree cover in 1831. Cleared for both agriculture and commercial forestry, the land has gradually reforested itself following the abandonment of farming in 1964. White Pine, American Beech and Red Oak Forest, Pratt Farm, Middleborough, MA, photograph by Mike Maddigan, October 27, 2004. Pines, beeches and oaks each drop rot-resistant leaf litter, inhibiting the growth of herbaceous plants beneath them, and resulting in a relatively open forest environment. Here, the pine-beech-oak forest is captured at Stony Brook. 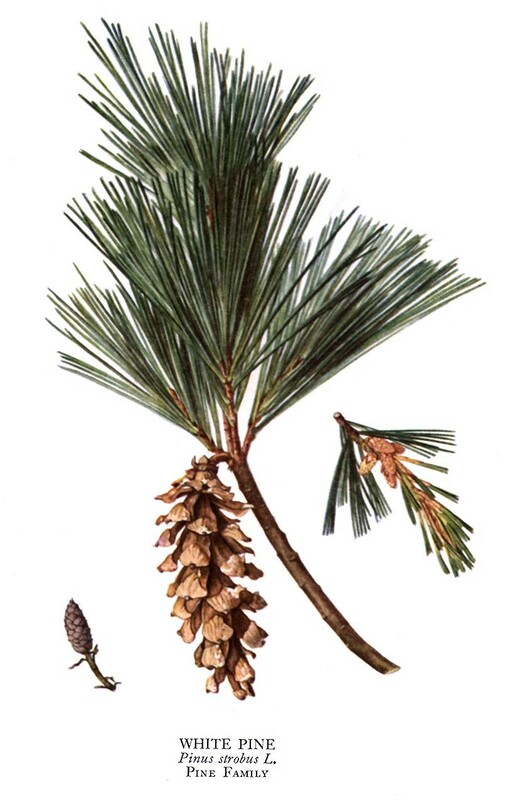 Eastern white Pine (Pinus strobus) botanical plate, early 20th century. The ubiquitous white pine may be found throughout the Pratt Farm. Leaf litter from the tree and neighboring oaks help inhibit the growth of other species, ensuring the predominance of the white pine forest. Autumn Colors, Pratt Farm, Middleborough, MA, photograph by Mike Maddigan, Autumn, 2004. The view depicts the area of the Farm Road as seen from Sachem Street. The diversity of deciduous trees including the dominant species oak, maple, and beech provide a rich array of autumn colors. White Pine, American Beech and Oak Forest, Pratt Farm, Middleborough, MA, photograph by Mike Maddigan, October 27, 2004. Such pine-beech-oak woods are the predominant forest type at the Pratt Farm. Box Elder (Acer negundo), Pratt Farm, Middleborough, MA, photograph by Mike Maddigan, September 11, 2004. 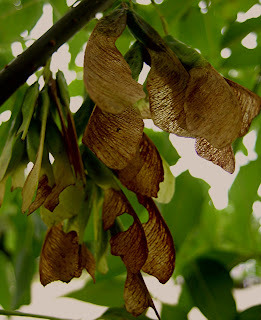 Frequently confused with maples, box elders also disseminate their seeds in easily identified "keys". The keys remain a favorite of children who open them up to stick on their noses. 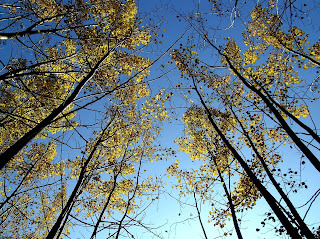 Aspens, Pratt Farm, Middleborough, MA, photograph by Mike Maddigan, October 27, 2004. 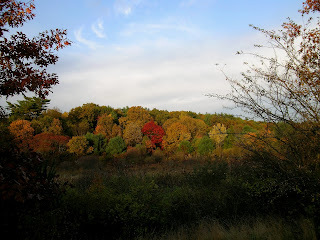 Numerous other species of trees are present at the Pratt Farm, and an afternoon accompanied with a camera and a good tree identification book is a worthwhile educational experience for children and adults, alike.